Looking for an exceptional performance for your next event? You've come to the right place! 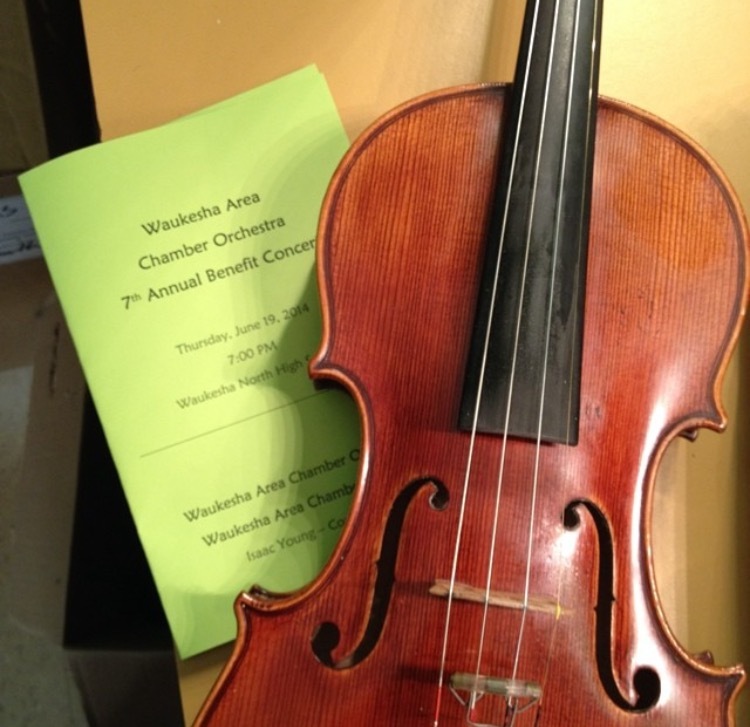 I will provide the perfect violin music for your needs. I'm trained in a variety of styles so you never have to settle. Classical, jazz, rock, pop - the sky's the limit! In addition to a playing traditional 4 string violin, I also have a 6 string electric violin I can perform on if you're looking for something unique. Our Masonic Lodge had Amanda perform several pieces from Masonic composers (Mozart and Haydn) at the opening of our program. The members gave a standing ovation and many came up to me later expressing how good Amanda was, and hope that she could play again for us. I highly recommend her. Thank you. Beautiful music. Professional manner. She was independent yet involved. Thank you. I hired Amanda to play acoustic violin for my wedding ceremony. We communicated entirely through e-mails until the day of, which is something I've never done before when hiring someone for something, but it was really easy and she made me feel comfortable with the process. She has a wide array of songs available and asked me which style of music we preferred. She was able to play the songs I requested as well. She played while our guests were arriving and as they left, and what I heard from them was that the playing was beautiful and amazing! The small bits I heard while walking the aisle were perfect and simple as we wanted it. I would definitely recommend Amanda to play violin for any event. Amanda provided beautiful music for our ceremony. She was very pleasant to work with and I'd highly recommend her to anyone. Amanda played perfectly for our wedding. She was very accomadating working with the organist at our church and wonderfully played out choice of music selections. Nice performance..She played all our requested songs.. 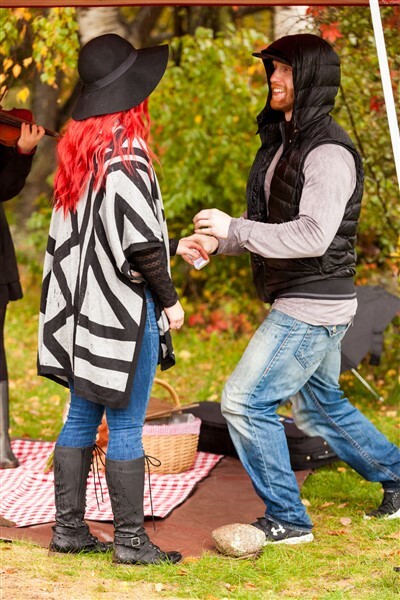 I found Amanda a few weeks back as I was lookign for a violinist for a special proposal I planned for my girlfriend. amanda was very responsive and played all the songs I requested. She was very flexible, as I requested her an extra hour of her time from my original request. She also played at a very remotes spot for us in front of tiki torches I set up at night with no complaint. It was a mix of classics and pop songs and each song was extremely well done. If you have any ideas for a surprise, want a personal concert or have a bigger celebration, Amanda is your lady! Amanda was flexible and came prepared. We hired Amanda as a violinist for a surprise proposal. This wonderful young lady hiked to the top of Holt Hill at the Ward Reservation, in the pouring rain, to play A Thousand Years. She was so friendly, very classy & professional and really made the proposal special. She even had some great suggestions as to when to start playing to help make things as romantic as possible. Her fee was also extremely reasonable; She is quite amazing and we highly recommend her! 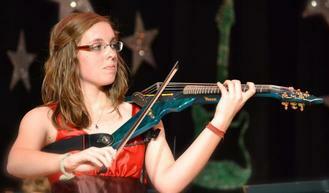 Amanda Roth started playing the violin when she was four years old. 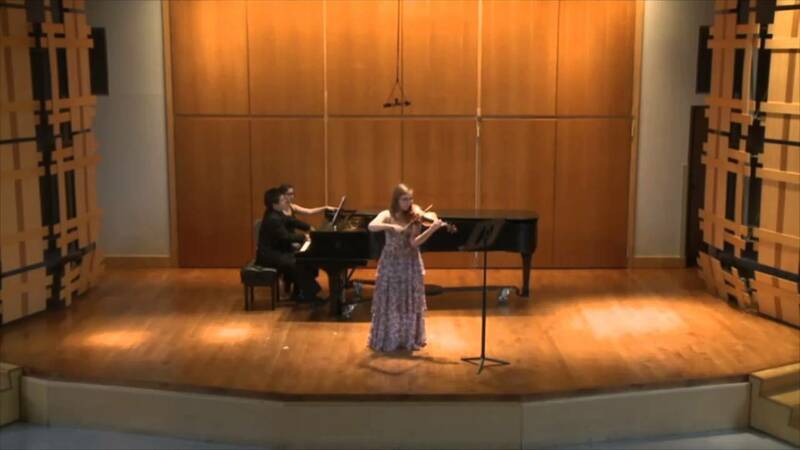 She followed her passion for music and is currently pursing a Master of Music in Violin Performance at the Longy School of Music under the tutelage of Paula Majerfeld. She recently relocated to Massachusetts after receiving a Bachelor of Music in Music Performance, Violin Concentration from the Boyer College of Music and Dance at Temple University where she studied with Dr. Vladimir Dyo. Her previous instructors include Joan Cordas, Joe Deninzon, and Zach Brock. To supplement her musical education, she has participated in a number of summer programs including the Aria International Summer Academy, the Chautauqua Music Festival Symphony Orchestra, he New York Summer Music Festival, the Mark Wood Rock Orchestra Camp, and the Starling-DeLay Symposium on Violin Studies at Juilliard. Amanda has performed in a wide variety of ensembles and settings. She has been a member of Temple University's Grammy Nominated Symphony Orchestra, the Temple University Opera Orchestra, the Longy Conservatory Orchestra, and the Waukesha Area Chamber Orchestra, where she has held the positions of both concertmaster and principal second violin. She has performed at such major venues as the Kimmel Center in Philadelphia and Alice Tully Hall at Lincoln Center in New York City. She was involved in the 2011 North American premiere of Georg Friedrich Haas' Sieben Klangräume and the 2013 world premiere of Michael Daugherty's Reflections on the Mississippi with tuba soloist Carol Jantsch. This past September, she collaborated with dancer and choreographer Jenna Wurtzberger for the premiere of her multi-media dance performance, Umwelten (their technologies, your processes). 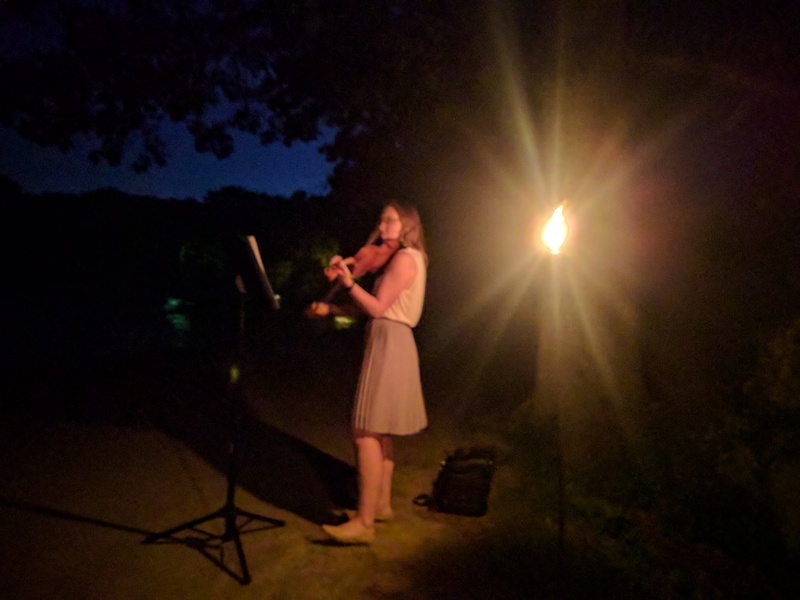 Amanda regularly performs in chamber ensembles and can be found playing for weddings, functions, and pit orchestras throughout Massachusetts. Throughout her many performances, she has shared the stage with Rachel Barton Pine, various members of the Philadelphia Orchestra, and ex-Trans-Siberian Orchestra violinist, Mark Wood. Besides playing traditional classical violin repertoire, Amanda also enjoys exploring the world of jazz, funk, country, and rock-n-roll on her six-string fretted electric violin made by Wood Violins. 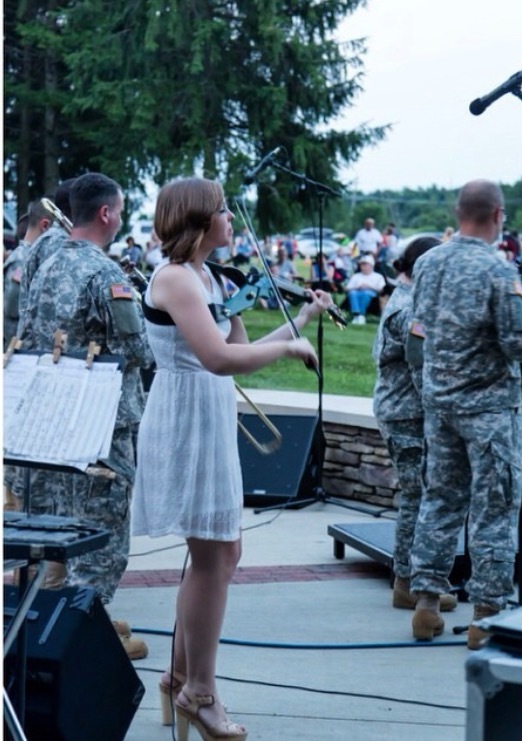 In 2015, she was a featured soloist with the 63rd Army Band on her electric violin. Besides performing, Amanda is passionate about teaching and giving back to the community. With the help of Rick Henry and Isaac Young, she started OWLchestra in 2015, a community string orchestra at Temple University. Before making the move to MA, she taught violin and viola for the Philadelphia String Project and Temple Prep's Community Music Scholars Program. 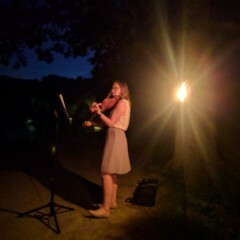 Currently, Amanda is a teaching assistant for the orchestra at Cambridge Rindge and Latin School and a violin and viola teaching at Music Elements in Chelmsford, MA. My only requirement is some sort of cover during events that take place in inclement weather. I am happy to play events both outside and inside, but due to the nature of my instrument I need some sort of shelter from the rain if it is an outside event.